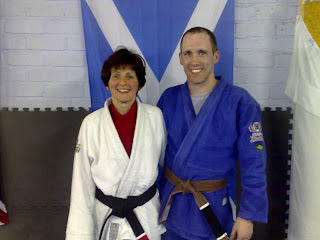 Huge congratulations to Rob Lawlor who just received his brown belt. Rob is a real asset to the Combat Base Team although we outlawed belt whipping because of him, I guess he was getting it out of the way before his promotion. Good performances from the guys and gals again at the recent SENI show. Rob Lawlor won bronze in the Purple Belt Masters Lightweight and was 1-1 in the absloute. Pretty good for a guy who was 68kg. Inka Doyle stepped up an age group and still got gold after winning the final by arm bar. Stella Doyle wom her match on points, at which point the coach of the other girl asked for a rematch there and then because he thought his girl could win. Stella proved him wrong again winning by arm bar in 23 seconds. LOL @ asking for a rematch in the first place in a match between 2 10 year old girls. 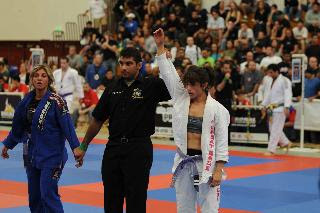 Congrats to Melissa Haueter who took silver in the purple belt division at the Pan Ams recently, great performance. Melissa, and Chris, will be back with us late July. Pete Hill's opponent from the Leeds Mixed Fight Night has requested a rematch and Pete being Pete has agreed. Let's hope he gives it the same as last time.